Freda is a natural leader who has led Nestlé, the Leading Nutrition Health and Wellness Company in a number of strategic transformations. Her ability to work with diverse teams to unlock their potential and develop them has culminated in the successes of all the businesses under her leadership. Her international experience in United Kingdom, United States of America, South Africa and Philippines among others, across various disciplines and cultures has afforded her a well-rounded experience in managing businesses for sustainable growth and profitability. 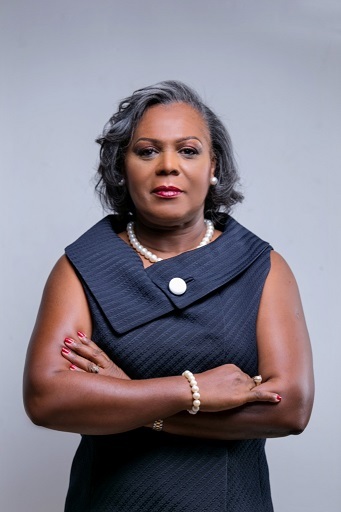 As the first female and Ghanaian Managing Director for the Coastal Cluster (Ghana, Liberia, and Sierra Leone), she has managed the company to improve profitability and growth in a turbulent economic environment. This is an achievement recognized by the Nestlé Group worldwide through the commendation from the Group CEO in the published financial results for 2016. Freda is an executive member of a number of Business Associations such as Ghana Employers Association, Association of Ghana Industries and the Swiss Chamber of Commerce. She is also a founding member of Executive Women Network as well as the chairperson of the executive council. She has made a difference in gender empowerment advocacy as the Champion in the Central & West Africa Region. With her usual fearless determination to take up new challenges with excellence, she has excelled in diverse leadership positions in her twenty-five (25) years experience with Nestlé.